By 1864 the state’s soldiers were feeling the effect of the blockade and the shortages at home. Nevertheless, the North Carolina Quartermaster’s Department still provided clothing, shoes and blankets as its resources permitted. Earlier in 1863, the state had purchased some ready-to-wear uniforms in Great Britain and these were still in reserve in May 1864. Additionally, the state had purchased large lots of “army cloth”, blankets and other supplies in England and these had arrived in Raleigh beginning in July 1863. While there is evidence that there were some uniforms made up of the “army cloth” in North Carolina during 1863-64, this fabric does not appear to have totally supplanted the use of domestically manufactured cloth in the uniforms made for the state in the last two years of the war. This soldier is wearing one of jackets purchased in 1863, probably from Peter Tait, through Collie and Co. His trousers are North Carolina manufacture. Like many Confederates he has adopted a felt hat, perhaps one of the few provided by the state. 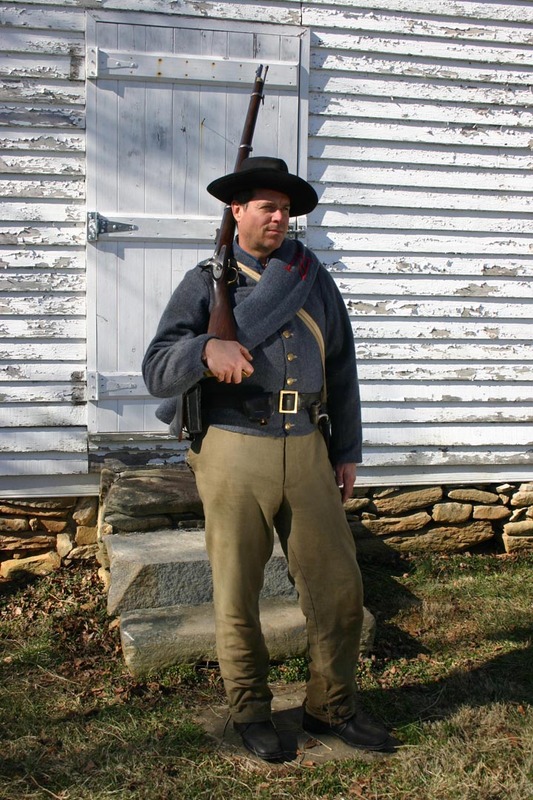 He is armed with a P1853 Enfield rifle-musket and has Confederate accouterments. He has one of the state-issue blankets marked “NC”, probably one of the 31,887 “grey blankets” imported from Great Britain. 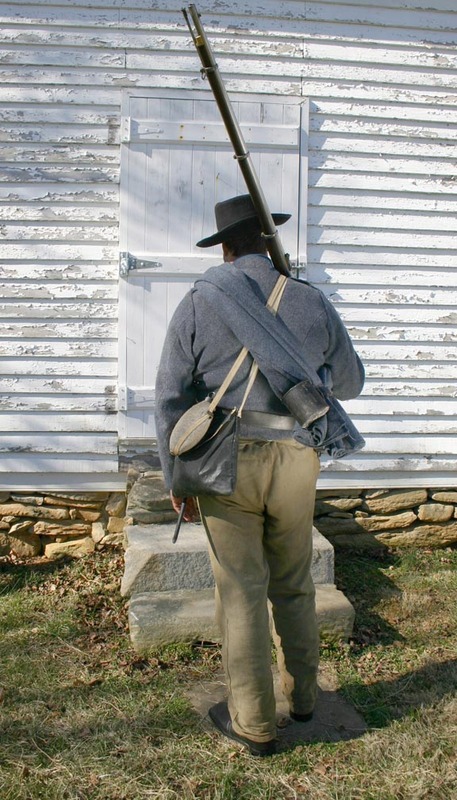 He still has his Confederate haversack, but has acquired a Federal canteen.